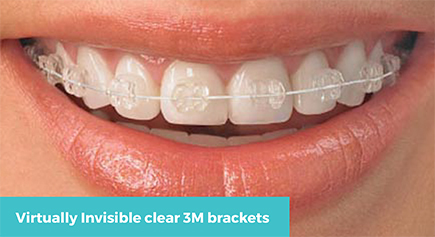 Unlike other invisible braces available in the UK, QuickStraightTeeth™ does not rely on one standard aligner. We have developed a range of unique Q Appliances, consisting of ﬁve highly developed teeth straightening appliances. QST has a range of removable appliances, including almost invisible clear trays similar to the well-known invisalign brand, as well as special aligners with a patented feature that makes them the most comfortable of their kind. 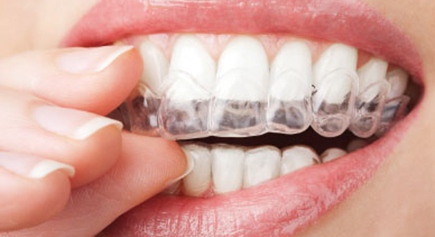 QST's clear aligner trays are customised to fit your teeth exactly over the length of the treatment, using gentle forces to reposition your teeth. This is the easiest aligner to live with, as it is essentially a removable, all-plastic mould that fits your teeth perfectly. Behind that simplicity, though, is some amazing state-of-the-art technology that creates a series of trays that fit perfectly during each stage of the treatment as your teeth progressively move. most people will not notice that you are wearing an aligner, so you can start smiling now! so you will enjoy being able to remove it when you eat or want to brush your teeth. essentially a metal-free super-slim plastic mould, it fits your teeth exactly and only gentle forces are used to move your teeth. 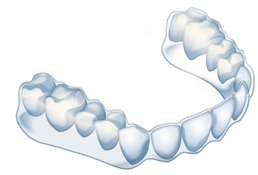 QST also has special aligners that include two slim sections – one facing the back of teeth and the other the front – that use gentle pressure to bring the teeth into proper alignment. Their design and colour makes them very discreet in the mouth. These QST aligners offer unmatched comfort among appliances of this kind, thanks to the patented fully enclosed nickel-titanium spring that creates the force. More importantly to you, in cases where these appliances are suitable, you can achieve straight teeth in just 6 to 16 weeks, and you can take the aligner out at any time if you need to.